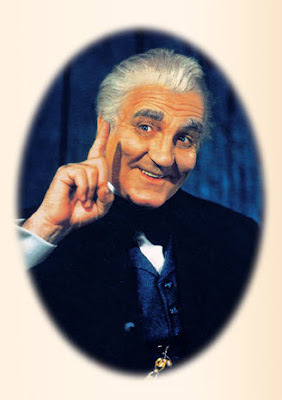 The Fabulous Dr. Tweedy came after the breakup of the Maxwell House Coffee Time when its stars Frank Morgan and Fanny Brice, went into separate sitcoms. In Tweedy, Morgan played an absent-minded professor who lived with his adopted son Sidney and a ex-hobo manservant named Welby. The broadcast began June 2, 1946 and ended on March 26, 1947 on NBC. 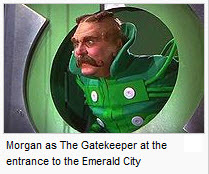 Frank Morgan (June 1, 1890 – September 18, 1949) was an American actor best remembered for his portrayal of the title character in the film The Wizard of Oz in which he played the carnival huckster "Professor Marvel", the gatekeeper of the Emerald City, the driver of the carriage drawn by "The Horse of a Different Color", the armed guard leading to the Wizard's hall, and the Wizard himself.